Situated only 150 metres from a pebbly beach in Murter, Apartments Marti provides air-cooled accommodation with gratis wireless internet access. All units here come fitted with a seating area with a sofa and a flat-screen satellite television. Each unit also presents a well-equipped kitchenette with a dining area and a refrigerator. The Vransko Lake Nature Reserve can be found at a distance of 21 km. The historic city of Sibenik, known for its UNESCO-protected St. Apartment in Murter ~0,1 km, Betina price per day from € 44 Providing a back yard, Apartment in Murter is positioned in Murter. There is a seating and/or dining area in some units. 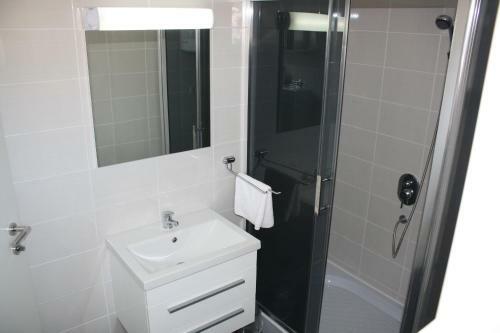 All units have a kitchen fitted with a dishwashing machine and microwave. A fridge and coffee machine are also available. 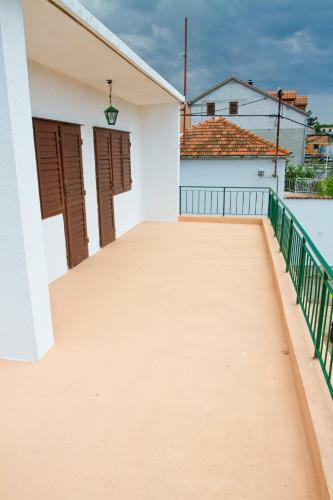 Šibenik is 26 km from Apartment in Murter, while Vodice is 16 km from the property. 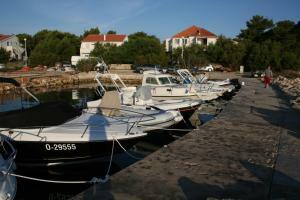 Tisno ( ~ 4.7 km ): 206+ accommodation units. Jezera ( ~ 5.4 km ): 175+ apartments. Beach Luke, Murter ~ 0,4 km from Apartments Marti Concrete beach: ideal for families, recommended for young people, with restaurant, with caffe bar, equipped with showers. Excellent choice of watersports. Beach Slanica, island Murter ~ 0,7 km from Apartments Marti Sandy beach: ideal for families, recommended for young people, with restaurant, with caffe bar, equipped with showers. Excellent choice of watersports. Beach Cigrada, Murter ~ 1,3 km from Apartments Marti Sandy beach: ideal for families, recommended for young people, with restaurant, with caffe bar. Excellent choice of watersports. Beach Podvrske, Murter ~ 1,3 km from Apartments Marti Sandy beach: ideal for families, recommended for young people, with caffe bar. Nudism is allowed. Beach Zdrace, Betina ~ 1,4 km from Apartments Marti Gravel beach: ideal for families, recommended for young people, equipped with showers. Excellent choice of watersports.